Majestic Prophonic Series Polished Timpano - 26" 26 in. New Item! Expected to Ship 06-18-2019. 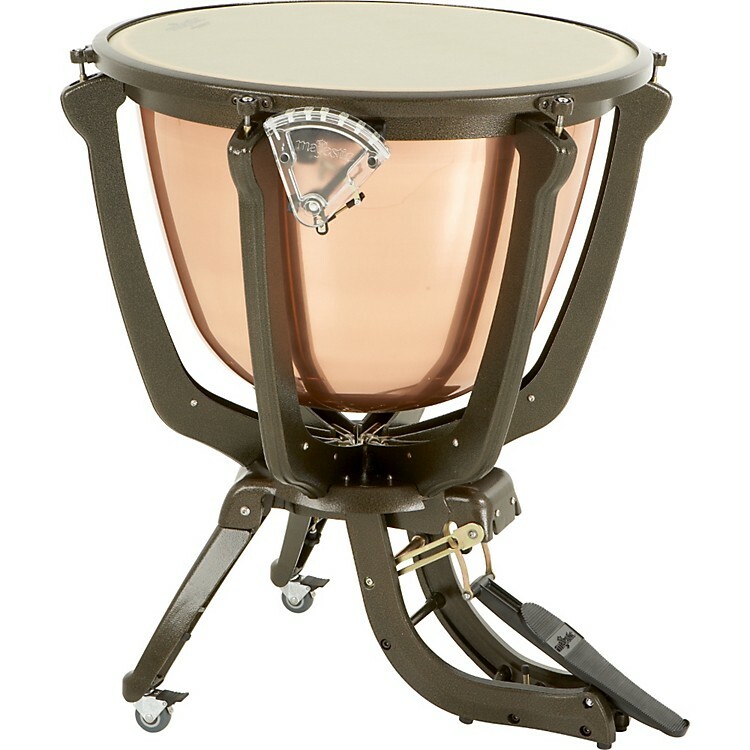 Majestic Prophonic Series Polished Timpano - 26"
The superior sound of a suspended cambered copper kettle on a portable frame. The Prophonic 26" Polished Timpano provides a truly professional quality of sound for to those with limited storage space or needing to transport their timpani on a regular basis or in smaller vehicles. The innovative Prophonic series models feature the same deep-chambered copper bowls and sooth-action balanced pedal found on other Majestic series. Comes complete with zippered, padded drop cover. Includes zippered, padded drop cover. Have a professional sound wherever you go.